Whether you support a canine charity or a breed club, there will come a time when you want to donate funds to their cause. Rather than send a cheque, why not organise an event that can be enjoyed by dog lovers and their friends? Try to think of events that will not cost a lot of money to arrange. This way if the attendance is low or it has to be cancelled, no one is compromised financially. We all have too much junk stashed away in our homes. Why not get together with some friends and have a table at a local boot sale? As long as you have a table a car and the intention of getting up early, it is an easy way to make a profit. What about a doggy fun day? If your dog club meets at a venue regularly ask if you can arrange a fun day for dogs and owners. With obstacle races, fancy dress, treasure hunts, a raffle and a barbecue your charity or club will soon be receiving a cheque. If you have a hall or can use part of a field or a park, a companion dog show is a great attraction for pedigree dogs and cross breeds alike. With a judge for the pedigree classes and perhaps a celebrity or local dignitary for the novelty classes the entries will roll in. Remember though to ensure that you have the event registered with the Kennel Club and that the vent is covered by insurance. Do you know someone who is on a diet, running a marathon or some other long-term event? Why not arrange sponsorship to fund your favourite canine charity? Ensure you have enough friends to help with the event. There’s no point in being so busy you cannot enjoy the occasion. Whatever event you organise you will need publicity to attract visitors and sponsors. Try not to spend any money while doing this as it will be eating into your profit. First check to see if any of your helpers have contacts that can supply free publicity – they may work for the local radio or perhaps a newspaper. Plan to advertise the event as early as possible and keep up the interest until the very day of the event. There seems to be a plethora of free local papers. Write a press release and email it to every one of them. Next look in your newsagents shop for the local papers that are for sale, send every one of these papers a copy of your press release. It is advisable to advertise a few weeks before the event with a follow up in the newspaper that is issued in the days before. A press release is simply a notice of what is happening and why, with a contact number for the press to follow up if they are interested. It is always advisable to telephone the paper a few days after issuing the press release to check that it has arrived and to answer any questions that may need answering. The better the prize, the better the entry so make a point of visiting local companies for donations. You can put their name in the programme of the event and notify the press of sponsors and donations. Notify any local dog club of your forthcoming event. 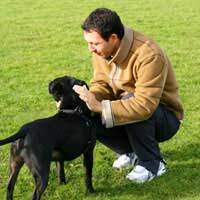 Most dog owners enjoy any activity that includes their canine friends. When organising a Companion dog show put a small ad into both the weekly canine newspapers, as this is where exhibitors look for shows to enter. A week before the event is a good time for the advertisement to appear. Make some bright coloured posters and place them in as many places as possible. Local shops are usually helpful and you may also be able to beg a prize for the raffle at the same time! There are many canine websites in the Internet take time to browse these and post news of your fundraising event. An event that is well thought out can be an enjoyable way to raise money for your favourite canine charity or breed club.